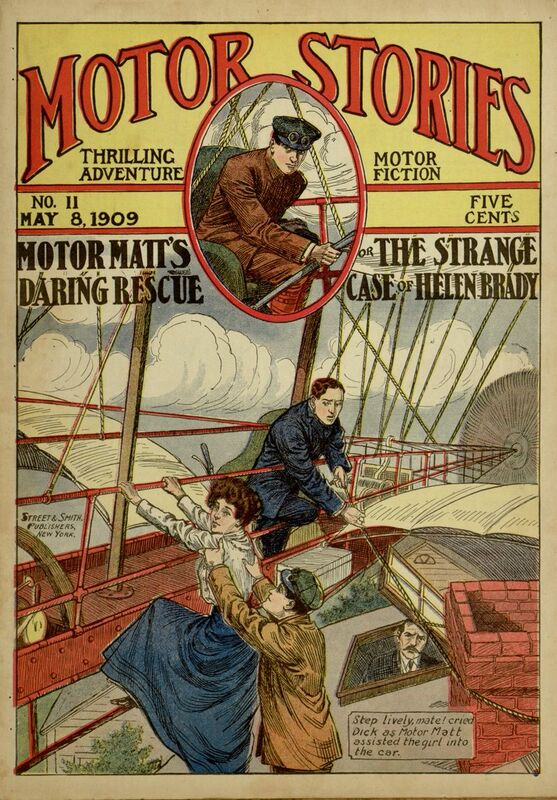 The eleventh adventure from the Motor Stories series is available on Project Gutenberg today thanks to the efforts of the Distributed Proofreaders project and images provided by our Digital Library. 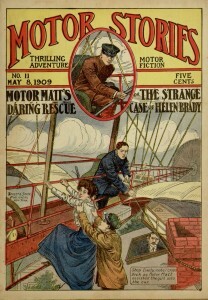 In Motor Matt’s Daring Rescue; or, The Strange Case of Helen Brady, Helen Brady has disappeared, and Motor Matt needs to join forces with an unlikely ally to help restore her freedom. The issue is filled out with “A Fall to Fortune,” a highly improbable tale of a balloon demonstration gone wrong (and then right). The entire book can now be read online or downloaded from Project Gutenberg.